March is a wet month in Rome. It was raining when Pope Francis was elected on 13 March 2013, and it was pouring raining again when I was back there last week in preparation for his first anniversary. But nothing seems to dampen media enthusiasm for Francis and his approach to what he calls his role as Bishop of Rome. Catholics committed to the renewal initiated by Vatican II feel that he has given them a new lease of life, and the well-informed, Rome-based journalist Robert Mickens, who writes for The Tablet, told me that Francis has already come 'too far' to retreat now to a more cautious stance. Certainly he has already decisively changed the pattern established by his predecessors. No longer is the emphasis on the dangers of secularism and relativism; he has also shifted the focus of the Church away from the ridiculous 'culture wars' between false dichotomies which saw Vatican II either as a 'rupture' with the past, or as eternally unchanged 'continuity'. Francis' emphases are in tune with the genuine Catholic tradition focusing on God's mercy, the love of Jesus, conscience, and the Church's pastoral care for the vulnerabilities and sins embedded in the human condition. He is humble, benign, pastorally concerned, committed to social justice and media friendly. He has embraced an inclusive, small 'c' catholic approach that includes everyone. That is no mean achievement in just one year. Nevertheless amid all the enthusiasm for Francis' approach, we need to keep ourselves grounded. The key mistake of post-Vatican II Catholics was to fail to insist that the Council's theological insights be enshrined in ecclesiastical structures. Progressives think that you change things by talking a lot. And while endless gab-fests went on, shrewd conservatives were shoring up the old structures so that they could be cemented into place during the long John Paul II papacy. While the Council called for a new vision of the people of God, lay participation, collegiality, and emphasis on the local church, Pope Wojtyla used his globe-trotting media super-stardom to introduce a centralisation that was unprecedented in church history. The lesson here is that Francis will be nothing more than a flash in the pan if church structures are not changed. Sure, he has set up his 'Gang of Eight' cardinals to advise him on reform of the Vatican. But so far they have focused on cleaning up the Vatican Bank and the financial structures of the curia. While financial accountability is important, this is scarcely central to the proclamation of the Gospel, or a realisation of Vatican II ecclesiology. I certainly wish Cardinal George Pell the best of British luck in his appointment as Prefect for the Economy of the Holy See. His direct style might give him the edge in tackling the byzantine administrative structures and arcane financial dealings of what is essentially the court of a 17th century absolute monarchy. But don't underestimate the Italians; Pell will face a tough fight as long-entrenched interests fight a rear-guard action to protect their turf. It is significant that there is no word in Italian for 'accountability' in the sense of having to answer for one's actions, or being liable to stakeholders. And no, the Italian word responsibilità doesn't mean 'accountability' in the English sense. The greatest danger we face is that we expect too much from Francis. Never forget that he is an Argentinean male. Sure, as Paul Vallely's excellent book Pope Francis: Untying the Knots shows he has undergone a genuine conversion to humility, a kind of simplicity, human warmth, directness, honest speech and 'looking at reality from the point of view of the poor' as Vatican-watcher Alessandro Speciale describes it. But Francis is neither a progressive nor a reactionary. Essentially he brings a new perspective that has little to do with the preoccupations of the developed world. We shouldn't kid ourselves that he is a closet progressive. The other danger is that he turns out to be all show and no substance. As I said, Vatican II has never really been implemented because church structures have not been changed to reflect the Council's theology. His 'Gang of Eight' has not even begun to address the diabolically difficult problems embedded in reforming the curial structures of the Vatican, let alone tackling issues like episcopal appointments. Even after consulting the laity on the forthcoming synod on the family, bishops' conferences were instructed to keep the results secret because the Vatican doesn't want to publicise unpalatable truths on issues involving gender, contraception, sexual relations, homosexuality, divorce, and women's ordination. So the jury is still out on Francis, Bishop of Rome. However, I always live in hope. Paul Collins is a writer and broadcaster. A longer version of this article can be found tomorrow on Paul's homepage or that of Catholics for Ministry. His role as Bishop of Rome? But he is the Bishop of Rome. Many people would say that, when it comes down to it, that is all he is really. Big job, being Bishop of Rome. That Francis keeps making this point is very telling. He is getting Catholics to appreciate that being Bishop of Rome is neither more nor less than being Bishop of Rome. The Catholic Church puts too much store on Popes. Everyone looks to this person the Pope as though he can solve all the problems of the Church. It’s absurd. Why put your all faith in an older man who has achieved worldly success by becoming the Bishop of Rome? If the Catholic Church was truly catholic it would be giving freedoms to its bishops and its people, instead of training binoculars every week on what happens in the corridors of the Vatican. The Bishop of Rome should only ever be the first among equals, but still all attention is paid to him as though he were the fount of all hope. No wonder the disappointments keep on coming. I too continue to live in hope. However, this man can't change everything, neither should he. At some stage we have to take the initiative in implementing his exhortations as laid out in Evangelii Gaudium. We Catholics are very good at saying what "they" or 'he" should do, but way too passive in our living out the Gospel. This man is not progressive, in fact theologically he seems conservative, but his view for Church is progressive - cf clericalism. So, let's get off our bums and act. A good article and a reasonable position. My sentiments also. But I have also wept at the relief of at last having a Pope who so clearly loves people and can teach us all something about that and the desire for humility. My feminist consciousness can forgive much when these qualities are present. But I too hope that change can be integrated and for this he will need a long life. That is my prayer now. I am concerned that the appointment of Pell to Rome may be some insipid form of protection for a Bishop who has to front the rotisserie of the Royal Commission. Maybe I am one of those that expect too much from the new Pope... but, I live in hope. As editorials in TheTablet and NCR have pointed out, the key issue Francis has failed to tackle is sexual abuse. Yes, he has set up a commission under Cardinal Sean O'Malley who cleaned up the Boston situation, but his C8 group includes two people whose record of showing sympathy to victims and their advocates is quite appalling: viz. George Pell and Rodriguez Maradiaga. Sexual abuse is a more pressing issue than curia reform. We are still waiting for Francis to make bishops and all who fail to protect victims accountable.Under his watch, Vatican policy, as delivered to the UN Commission, is still to inform public authorities only when required by local laws. Where's the application of a pastoral approach in this area? Thanks, Paul, for these insights. 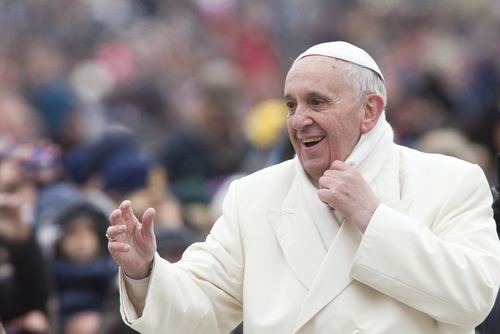 Most of us have welcomed Pope Francis as a good and humble man who could renew the Church. But as you indicate, change is not achieved or cemented by talk alone. It is very worrying in this regard that the first crack, a very serious one, has now appeared in Francis’ commitment to renewal. On the Church’s handling of clerical child sexual abuse, NCR observed that, in his interview with Corriere della Sera Wednesday last week, “Francis sounded like he was reading from a script that should have been abandoned years ago”. Francis said: "The Catholic church is maybe the only public institution to have moved with transparency and responsibility … No one else has done more. Yet the church is the only one to be attacked.” http://www.zenit.org/en/articles/english-translation-of-pope-francis-corriere-della-sera-interview Pope Francis seems to be unaware of the Church’s institutional failures in following Christ’s teachings, exposing more children to abuse by protected abusers posing as pastors, through non-reporting to civil authorities and reassignment by Church authorities of those accused of child abuse (the ‘cover-up’). This is not a matter of conservative or progressive theology, but a matter of the most basic Christian values. If Francis cannot see that the autocratic male structures of the Church have resulted in a Church that is unChrist-like and therefore failing in its mission, he will sadly be little more than a celebrity pope. I am disappointed that Paul Collins use the term Pope Wojtyla, when all Catholics in the world know him as Pope John Paul II and many as Pope John Paul the GREAT. Our Holy Father Pope Francis is loved by Catholics and non-Catholics. This is because Pope Francis is a true Christian, loyal to Our Lord Jesus Christ, loyal to Mary Our Blessed Mother, and loyal to the Magisterium. I know that Pope Francis, may be a disappointment to progressive, liberal and modernist Catholics. But the reality, is that we are blessed that for many years, we had good Popes, Pope John Paul II, Pope Benedict XVI and now Pope Francis. Catholicism is alive. AMDG. Well, I'm not sure I'll live in hope. Far too much has been said in Argentina about Francis role in not defending Jesuits doing their work among the poor and who were torture in a horrible way by the death squads. He did say something in defence, but spoke behind their backs, supporting the squads (see The Age article). Also, why excommunicate an Australian priest who supported women's ordination and gay marriage? He's entitled to an opinion, as we all are! Words of wise caution for those of us whose hope for substantial change in core areas of church outlook and relevance has to some degree been mesmerized by some of Francis' surprises in both style and commentary. Thankyou Paul for supporting those intuitions some of us might have already had cautioning our expectations of both 'aggiornamento' and 'approfondimento' given to us in the winds of Vatican II. When hope grows desperate one can be sucked into the illusions of greener pastures that ultimately will continue to need the watering of the realistic convictions and partnering energy of those who see opportunities present in what Pope Francis has already enlivened by his comments and personal style. "sins embedded in the human condition" #[ Yoiks the ghost of neo-Jansenism ? #jansenism was a Christian theological movement, primarily in France, that emphasized original sin, embedded human depravity, the necessity of divine grace, and predestination . Everyone seems to think that Francis is more show than substance, but, goodness me, wouldn't that have been said about the Christ himself? He really didn't change too many structures, but just stood beneath them marching to a different drum. Considering that the College of Cardinals, stacked with conservatives by John Paul, elected this man, I think I'll put my faith in the Holy Spirit's power to use those who are willing. This last week I found myself in significant spiritual distress. Especially on Sunday. Incredible spiritual turmoil. I dragged myself to Church, and found myself looking at a calm and happy priest who presided over a Mass that gave me complete spiritual relief. It was like visiting a doctor who could prescribe the exact treatment to treat and illness. It was at this point that I could say, yes Jesus, you are there. Yes Jesus, you care. I hope that I will always have a Mass to go to where Jesus is truly present. That is what I hope. Who is this jury that is sitting in judgement of Pope Francis?